Rosana Schoijett, Untitled, 2010, collage, 10 5/8 x 7 5/8". In 1904, as Virginia Woolf lay in bed suffering from a nervous breakdown, she reported hearing birds singing in Greek. Later, the birds in her novel The Waves would play a striking role paralleling the developing consciousness of the characters. 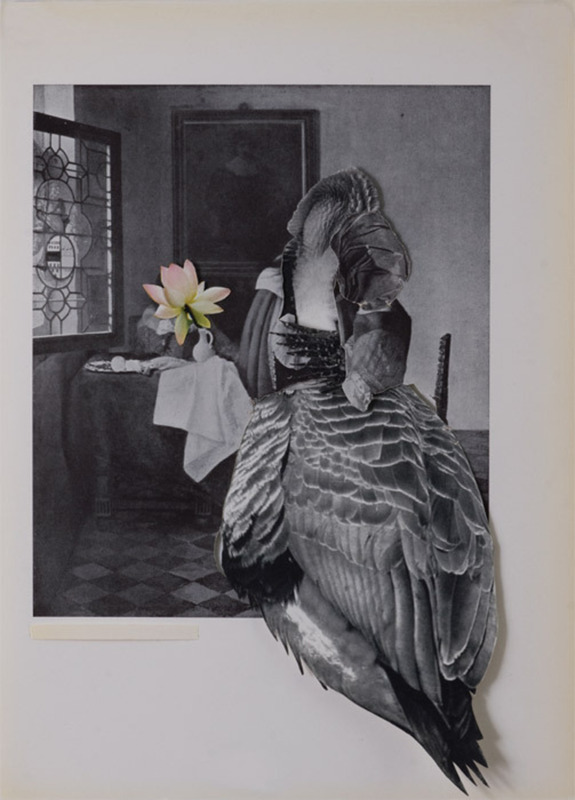 A similar metaphorical parallelism between birds and the human psyche permeates Rosana Schoijett’s splendid collages.